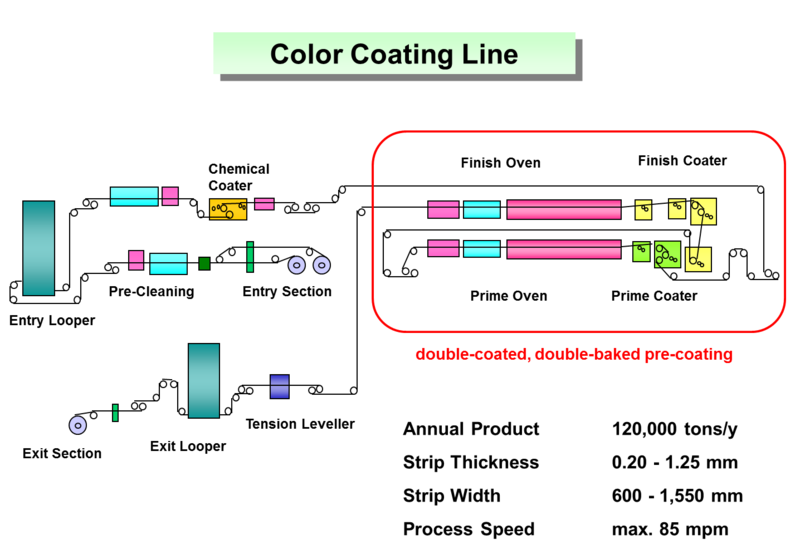 This is a pre-coating line that forms coats through advance application and baking of coating materials onto strips produced by Continuous Galvanizing Lines (CGL; to enhance corrosion resistance) and Continuous Annealing Lines (CAL; to improve properties, such as strength and elongation). It is an add-on for visual aspects of strips, such as color and gloss, as well as for protective elements, such as weather and corrosion resistance. It is possible to produce high-quality pre-coated steel sheets through highly precise coating thickness control gauge backed by large number of delivery records. The manufacturing of double-coated, double-baked pre-coated steel sheets with good weather resistance, primarily used in construction and home appliances, is possible. 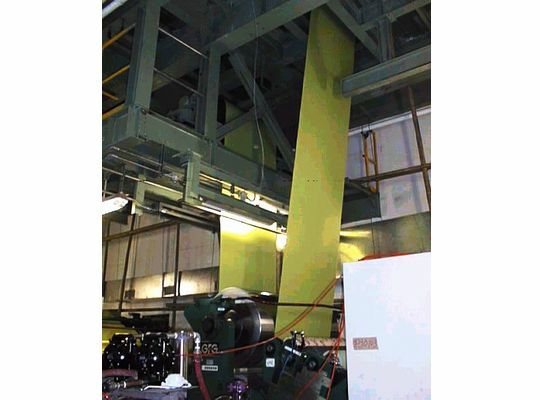 An in-line tension leveler can also be installed to manufacture straightened steel sheets.